I was writing my blog on fjellsnuppa, while I was travelling in Asia for one year. I have got my own web page LiveALifeInMotion, where I can write my blogs and share my experiences, thoughts and dreams with you. I feel so humble that you find it interesting to read my blogs. Thank you so much. It really touches my heart. Live a Life in Motion. Why have I chosen this name for my new web page? It is a simple answer to that. My life is in motion and it has been for the last 3-4 years. For me has the title on this webpage a double meaning. To have a life in motion means that the life is moving on the inside of myself that for most of us is very private and difficult to talk about including myself. The other dimension my life is moving is in interaction with the surroundings outside of myself. That my life is moving on the outside of myself means that I spend my time with activities that I have a passion for like trekking in the mountains, walking on the beaches close to my hometown Stavanger, visiting places all over the world that has a special place in my heart and spend time together with good friends. In my blogs on fjellsnuppa have I shared my experiences and thoughts about what I do to have a life in motion. I have been writing about my journeys and the people I have met. I have also tried to share with you how I have been working with my own life to be where I am today. It has been an interesting journey with a lot of hard work. A life in motion consists of two ingredients being present and make decisions. Since my life is in motion will the meaning of being present and what it means to make decisions change over time. I will write more about it in later blogs. 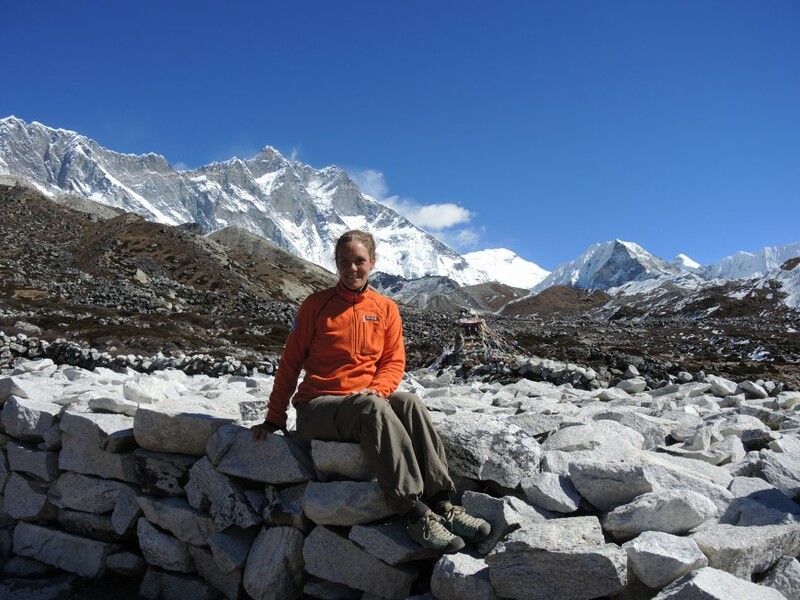 I have made a decision that I will participate in a Mount Everest expedition this spring, and I am leaving Norway this wednesday to go back to Nepal and the mountains. 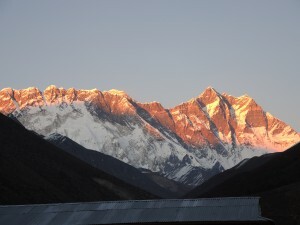 I am so excited that I will soon be back in the big mountains of Himalaya, where I love to be. I hope that you find it interesting to follow me on my new adventure in the Himalayas. I have been connected with friends all over the world during my journey in Asia. I want to share my adventure with all my friends and have decided to write in english. My english is not perfect I know that. I can not let that stop me from sharing this life experience that lies in front of me with all my friends and family. Welcome to my new web page and blog. I would love to be able to follow you on your trip – via your blog. You will get there – god tur & may the Force be with you! God tur og husk fjellvettreglene! Gratulerer med ny blogg og nettside Ingvill. Jeg gleder meg over våre samtaler rundt våre ulike prosjekter, og over å se at du realiserer ditt. Life is indeed in motion, or else we are not actually living. I love the way you take on big and wild challenges to your self and just go for it. That is living! – and it inspires me to make my own big jumps in life. Thank you! And may the Gods and the Force be with you on your expedition.